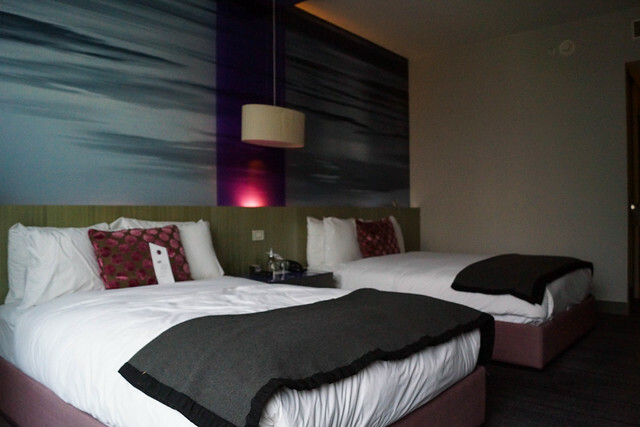 As I searched for my hotel options as I planned my trip out originally, there was one hotel that I decided I must book and especially for the night of my birthday. 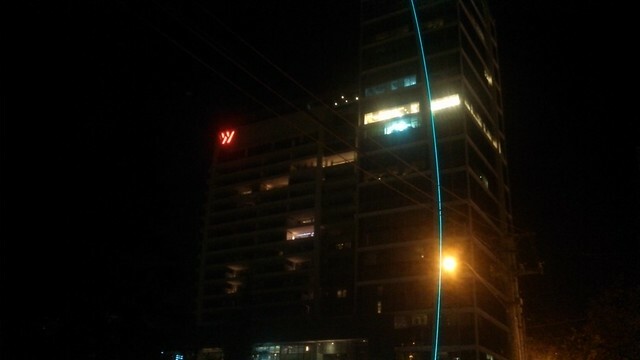 That hotel was the only W Hotel property in South America, the W Santiago. 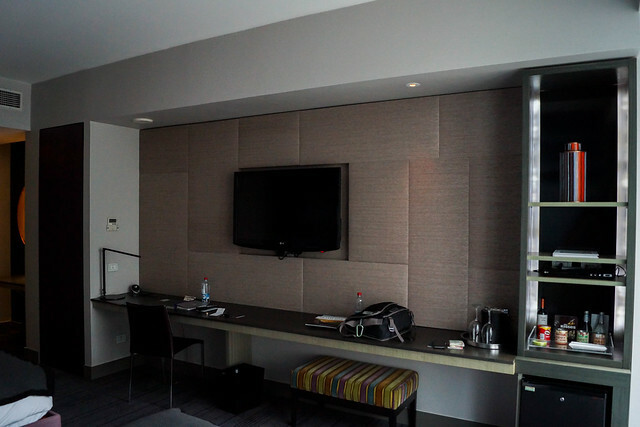 Located in the upscale and nice neighborhood of Los Condes, it definitely fit the bill for a luxury hotel for this part of my trip, and generally as you might know I am a fan of many W hotels. I had read several reviews in advance, but there wasn’t a consistent picture of how guests were treated, specifically SPG elites. Not finding evidence of that solid track record, I still took the gamble and booked a room for two nights. Using my 25% off a point booking award that I got for requalifying for SPG Gold status the previous year, I booked an award stay for two nights at 18,000 Starpoints (9,000 Starpoints/night; standard rate is 12,000 Starpoints/night). 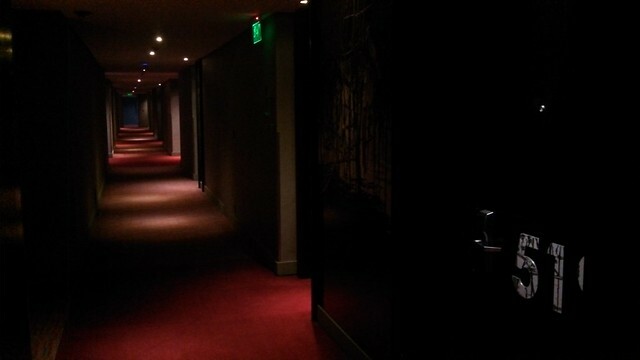 I shuttled between the Four Points by Sheraton Santiago and the W using Santiago’s metro system as I just had my messenger bag and a carry-on suitcase and neither is far from a metro station. For the W, the nearest metro station is Los Condes, and it is a short 5 minute walk to the hotel; not a terrible route if you are looking to save money, and it is definitely accessible for getting around Santiago. The hotel is located in an office tower and as such the lobby is not on the ground floor. Going inside you’ll find a bank of elevators that will take you to the lobby. Coming off the elevators, you’ll go past several of the hotel’s restaurants and bars before reaching the reception desk. As it was still on the early side when I reached the first available agent, a room was not ready yet. I opted to store my bag and then also inquired about if it would be possible to get a room with a single King bed. I was told that it did not look good for tonight, but if I wanted to move for the second night, it looked like they would be able to accommodate that. Still, I figured that when I came back from my wandering around town, that I might have better odds then. When I did return that afternoon around 4:00PM, it appeared that I was not going to be lucky on this night. I collected my key and headed up to the room and they told me that my bag would be brought up shortly. Unfortunately the view was very unimpressive, with it being of an adjacent office building. I had been hoping that my SPG Gold status would get me a room with a slightly better view, but that didn’t happen. Even playing the birthday card didn’t work, but I guess I can’t complain that a hotel did not give me any special treatment on an award stay. I could understand that they would prioritize a customer paying an actual rate to be given an upgrade like that. Usually this section is my “bar and restaurant” section, as I almost always find myself spending some amount of time in the hotel bar, especially ones in W’s. This go around though, I surprisingly did not partake in the hotel bar scene. I had been really wanting to try Red2One, the W’s rooftop bar, however that was closed for the season. There wasn’t a shortage of other options though, with your standard W Lounge/Living Room bar as well as a “branch” of Whiskey Blue that were open during my stay. There were also three restaurant options ranging from the Asian-fusion Osaka, French-Mediterranean Noso, and the casual Terraza (located on an open air terrace). 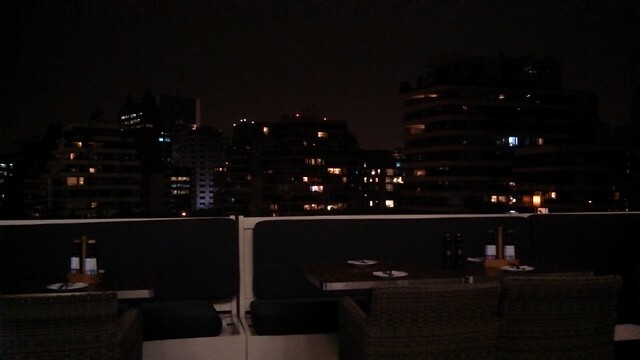 I had opted to grab dinner from Terraza for my birthday dinner, mostly for the outdoor terrace environment. It wasn’t very busy after dark and the wait staff was rather attentive. 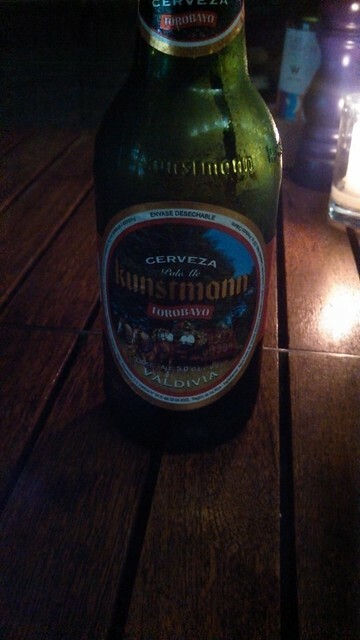 Even had some good recommendations on beers which I gladly tried several of. 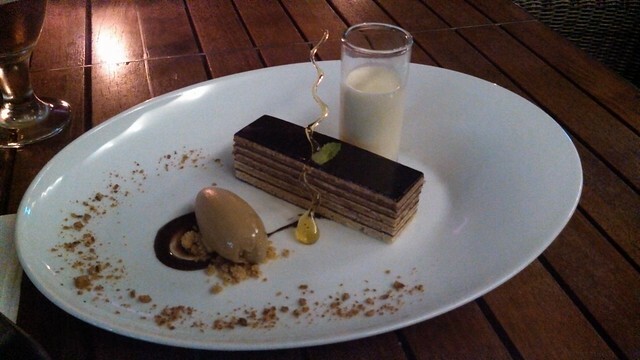 As for the meal itself, my main course wasn’t anything remarkable, but my dessert was pretty darn tasty. Unfortunately, it’s also the only picture from my dinner that isn’t a blurry! But with it being my birthday, cake was definitely in order. Unfortunately I did not try out any of the other options that were present on the property. The rest of my drinking and eating were outside the hotel and as you will see in my next post, I had a great time that did not disappoint one bit! I’ll admit that this isn’t one of my better reviews because I did not aim to check out as much of the hotel as possible. 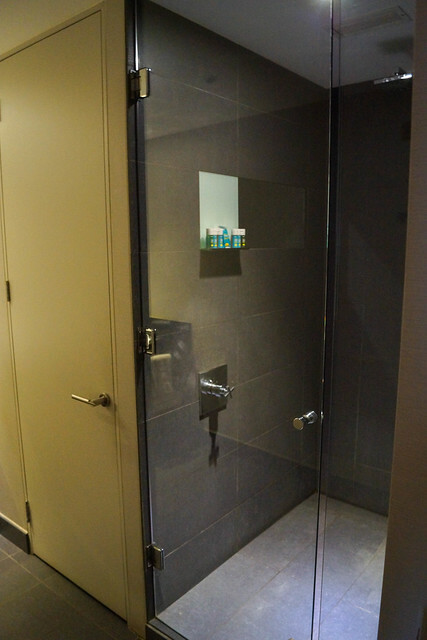 Most of it was that I didn’t spend that much time in the hotel as I found myself wanting to spend as much time out in the city as I could, so I didn’t spend time in the hotel bars, or use the gym or the pool or even make use of the concierge. Is it a decent hotel? Yes, the staff was generally friendly even if they couldn’t grant me my wish of an upgrade. The only “real” service failure that I did experience was the wait for my bag to be delivered to my room after I checked in. It took nearly an hour for my bag to be delivered, and that even included me calling down to the front desk to inquire about where my bag was about 30 minutes in to waiting. What I think happened is that my bag must have been delivered to another room that did not have a guest in it yet (or that they were away). Also on that first night, when I got back to my room late after spending the night drinking and celebrating my birthday, I found a piece of cake waiting for me in my room. I wasn’t sure if they had did it because of it being my birthday or as an attempt at a service recovery on the suitcase or what. It didn’t really matter why, but it was appreciated. Especially after drinking as much as I did that night. 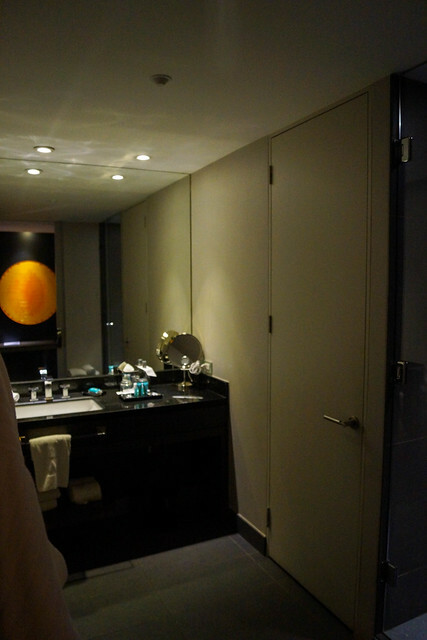 Overall, the W Santiago is a solid hotel, but it wasn’t good enough that I could call it one of my favorite hotels. Would I stay here again? Sure; although if they were charging $400/night for a paid stay and I didn’t have any points to use, I might think twice. Location is fantastic, and it is a nice property, but I don’t think I would pay that much per night for a very standard Wonderful room. Although there are better redemption options out there for Starpoints, I think that would be my currency of choice at this hotel. Or who knows maybe next time I will try the Sheraton or the San Cristobal Tower. This entry was posted in Hotels, South America, SPG, Travel, Trip Report. Bookmark the permalink. Follow any comments here with the RSS feed for this post. Post a comment or leave a trackback: Trackback URL.